In Europe and other parts of the world it is very common to stay in integrated golf resorts on “Stay & Play” golf packages but this is not so common in Thailand where most golfer opt to stay at traditional hotels and resorts away from the golf courses. 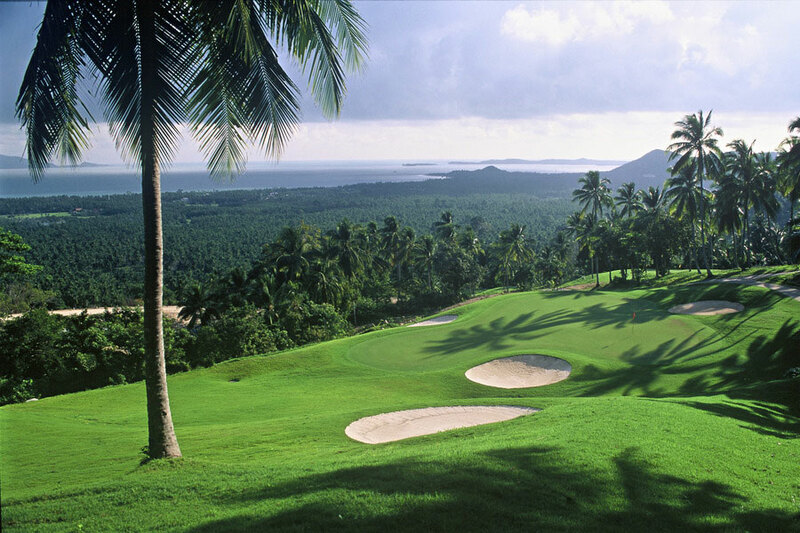 There are plenty of golf resorts on offer in Thailand and here we give you an overview of what is available. 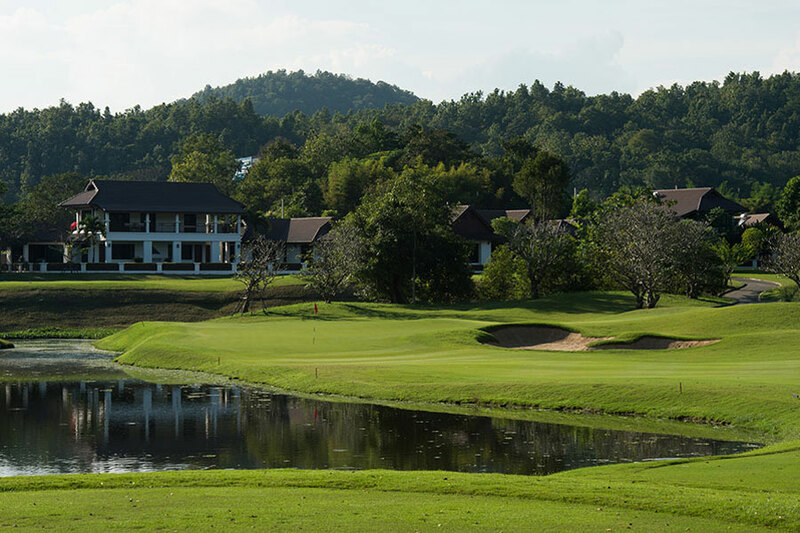 Three of Phuket’s golf courses have on-site accommodation. Blue Canyon Country Club which has two championship golf courses offers boutique-style accommodation in the north of the island – very close to the international airport. Not far away is Mission Hills Phuket Golf Resort which overlooks the course on the east coast of Phuket around 20 minutes from the airport. Finally we have the somewhat oddly named Tinidee Golf Resort which in Thai is supposed to mean “here is good”. This resort is based close to the clubhouse at Loch Palm Golf Club and around 5 minutes from Red Mountain. 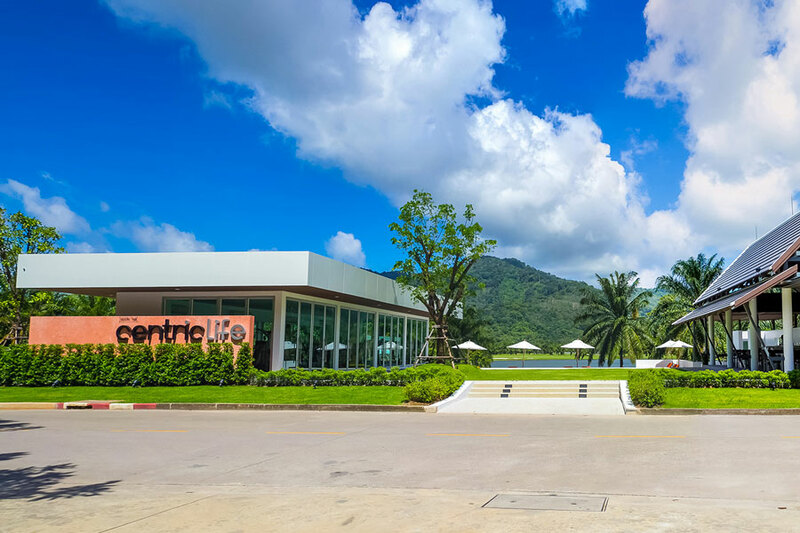 The resort is located in the Kathu district of Phuket which is around 40 minutes from the airport and around 20 minutes from Patong Beach – one of the major tourist beaches in Phuket. The resort consists of four low-rise buildings overlooking a man-made lake featuring 30 superior rooms which are 36 metres in area and 15 deluxe rooms which are slightly larger at 44 square metres. Both rooms are quite similar offering balconies overlooking the small lake, satellite TV, free Wi-Fi and minibar. The deluxe rooms, we well as being larger, offer a bath tub in the bathrooms, bathrobes and slippers and coffee-making facilities. The resort has recently added new facilities including an outdoor salt water swimming pool overlooking the golf course with adjoining snack bar, fitness room and on-call massage service. There are two wonderful golf courses nearby. 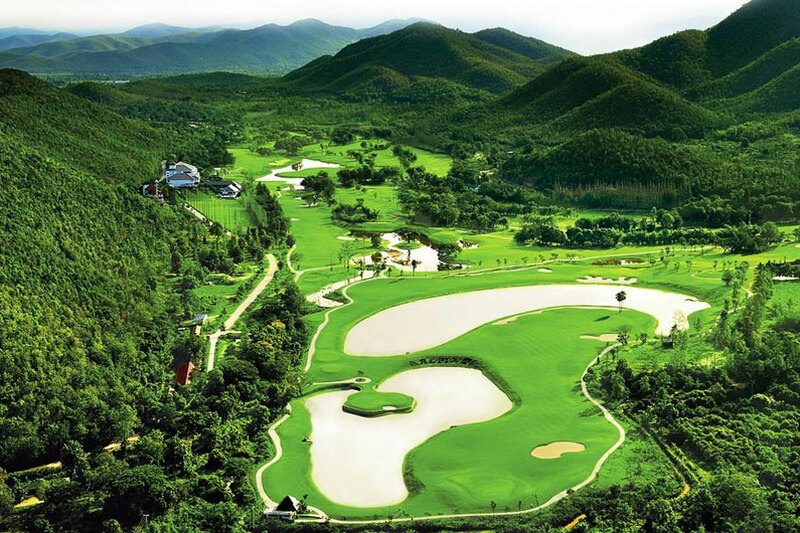 Loch Palm Golf course which winds its way around the large lake is ideal for golfers of all standards and then the magnificent Red Mountain Golf Club – possibly a contender for the best golf course in Thailand. Our View: This is a no-frills golf lodge with slightly dated rooms and good facilities. Average food and drink and slightly patchy service. Not far from the nightlife in Patong and ideal for a short stay if you want to play the two golf courses nearby. 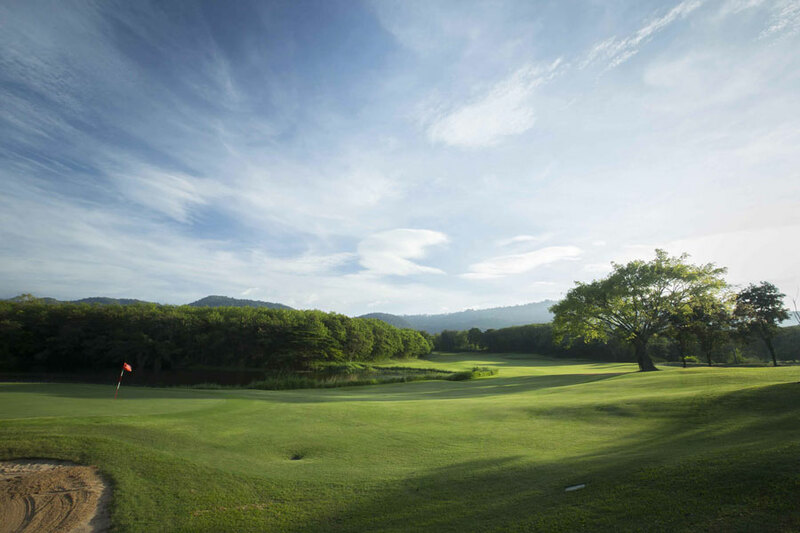 Blue Canyon used to be the premier golf club in Asia but shareholder in-fighting and poor management have set this courses on a slow and steady decline. The course is located very close to the airport and about 30-40 minutes from some of the more popular beaches although Nai Yang and Maikao beaches are 10-15 minutes away. Boutique accommodation is located inside the large clubhouse with a number of rooms and suites on offer which overlook the gardens or the course. Modern facilities include Jacuzzi bathrooms, satellite TV, tea and coffee making facilities and balconies. The facilities within the resort include a spa, fitness centre, swimming pool and two restaurants including the alfresco Golfers Terrace and the more elegant Canyon Restaurant. You can also enjoy other resort facilities including the driving range, swimming pool and pro shop. You have two great courses to choose from – the iconic Canyon Course which has twice hosted the Johnnie Walker Classic won by Tiger Woods and the Lakes Course which is the prettier of the two and slightly easier. Our View: The accommodation and the clubhouse have seen better days and this is a club in transition but they are making great efforts to improve the maintenance of the course. It’s a long way from the main tourist areas and the club totally dies after 6.30pm so not much to do after all the golfers have gone home. This is the only golf course which has holes close to the ocean so this is one of the more picturesque golf courses in Phuket. 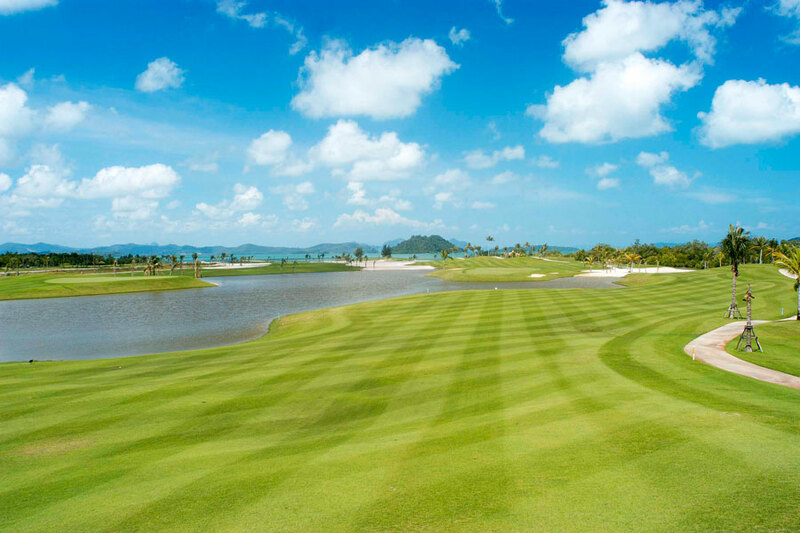 Mission Hills Golf Resort is located in the northeast corner of Phuket around 20 minutes from Phuket International Airport. The accommodation which is attached to the imposing clubhouse consists of 64 deluxe rooms and 8 suites decorated in contemporary Thai style with views towards the golf courses, the pool or overlooking the gardens. Satellite TV, a minibar fridge and safes are provided in each room. The resort offers four dining options including an Italian restaurant plus a bar and lounge with light refreshments available at the Pool Bar (when it’s manned) and on the Patio. This is the only golf courses which has holes close to the ocean so this is one of the more picturesque golf courses in Phuket. The course itself has greatly improved and is great for golfers of all standards. Our view: The staff are extremely attentive and friendly and the rooms spotless and well maintained. Food choice is adequate. You are pretty isolated here as the resort is a long way from anything – ideal if you just want to play golf but nothing to do in the evening. 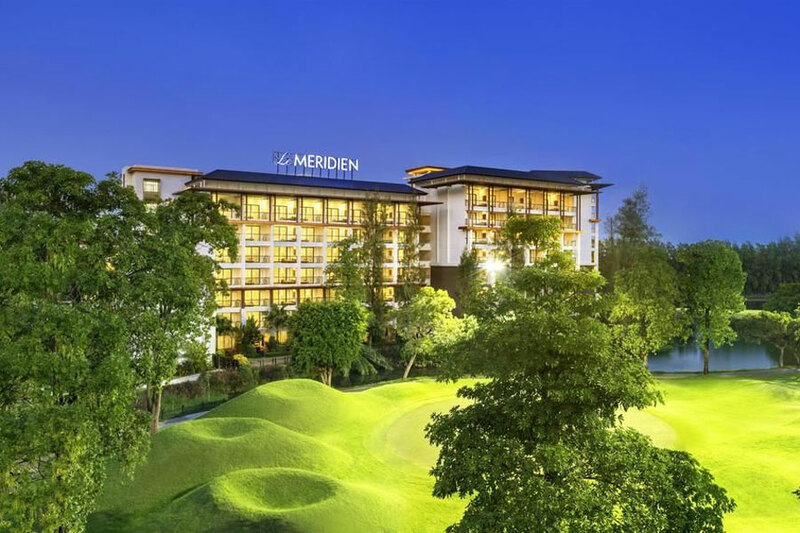 It is rare for anyone to stay on a golf course in Bangkok although there are a couple of good options close to the airport which are suitable for international guests. If you don’t like the sound of these then we suggest you stay downtown in the Sukhumvit area because this is where you will find the best restaurants and entertainment areas and it is also easy to get around using the BTS trains which travel up and down this road. The golf course is one of the best in the area and is being constantly improved. You can also play night golf here so you can get in a game after your meetings. For a full description of the course click here. Our view: Perfect for golfers as you have e a great golf course on your doorstep. Easy access to the airport and a free shuttle to BTS and Mega Bangna Shopping complex. Excellent room – great food and top-class service. This is located on the opposite side of the clubhouse and offers top-class 1 or 2 bedroom suites. The large rooms look very modern and each have a private garden with separate dining area, living room and kitchen. They provide all the usual hotel services including a swimming pool, business café and a convenience store. Our view: Surprisingly good and spacious rooms – excellent food and good service. 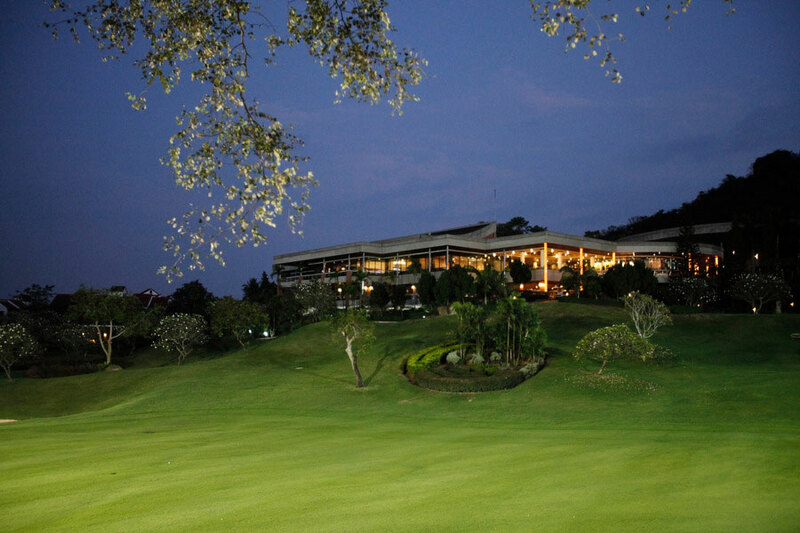 Laem Chabang Country Club is one of the best golf courses in Pattaya situated just off the main Bangkok-Pattaya highway about 30 minutes from Pattaya. A superb Jack Nicklaus design with excellent and well managed clubhouse. The golf course also has a small golf lodge not far from the clubhouse with 40 comfortable deluxe rooms with balconies overlooking the golf course, satellite TV, safe deposit box and mini bar. A swimming pool and foot massage service is also on offer. One of the best reasons to stay here is the magnificent golf course with 27 superbly crafted holes moulded with the natural landscape. The Valley nine is probably the pick of the three on offer and the most challenging. Night golf also available from 3.30pm for the really avid golfer. Our View: Nice rooms and very conveniently located for access to the golf course. Large pool. 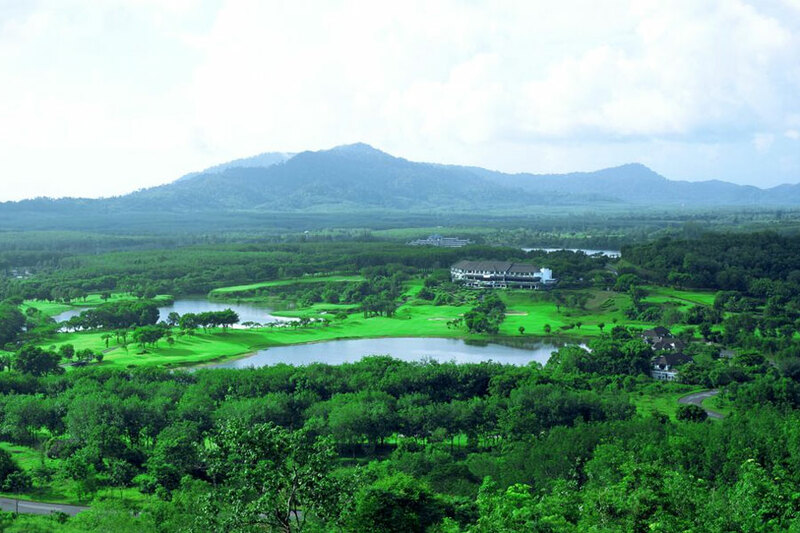 A reasonable option if all you want to do is play golf – 36 holes of golf also on offer at nearby Burapha. 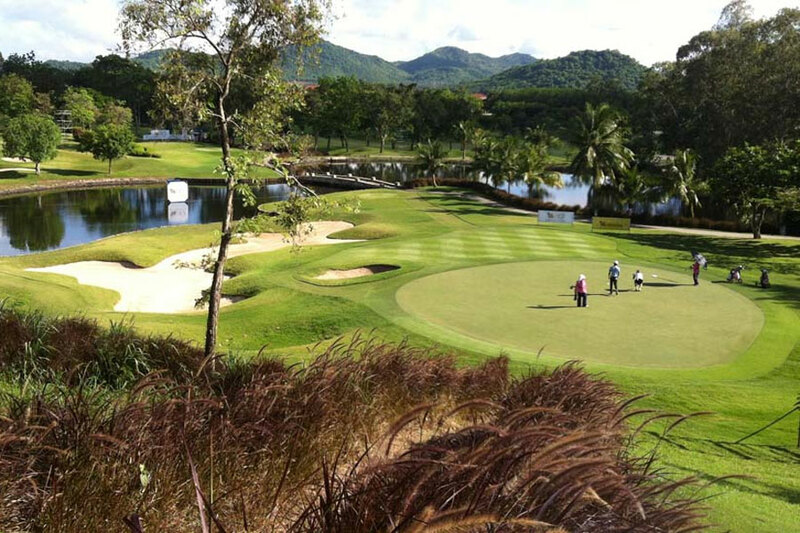 Burapha Golf Resort is one of the more popular golf courses in Pattaya offering 36-holes of championship golf. Our favourite is the West Course which has often hosted the Thailand Open with great views and plenty of elevation changes. There are 56 large, air-conditioned rooms on offer with minibar, balcony or terrace overlooking the golf course and free Wi-Fi. A swimming pool and massage service is also available. Our View: The resort itself is pretty run down and the rooms look tired and the service generally poor. A pity because the golf course is great but we do not recommend that you stay here. This is a very unusual and not well known resort about 90 minutes from Pattaya and 2 hours from Bangkok. Not too many golfers venture this far out of town as there are many other options closer to Pattaya but those that do are in for a golfing treat. You will find two breathtakingly beautiful 18-hole championship courses meandering across a beautiful natural landscape. Its a slightly unusual courses with lots of strange design features and some unnecessarily long par 3’s and par 5’s but the feedback on the courses is generally positive. Whilst Wangjuntr Golf & Nature Park (to give it its full name) is all about great golf, there are a tons of other things to do if you have your family in tow including a variety of outdoor and indoor recreational activities. The Wangjuntr Golf Lodge has a variety of rooms on offer but we suggest that the 50-room low-rise hotel is probably the best choice. Our View: The resort mainly caters to local groups enjoying the other recreational facilities at the resort so the service is not up to international standards and the standard of accommodation no more than acceptable. The golf is spectacular so perhaps a good option is to spend one night here and play both courses and then head back into Pattaya. The resort complex is located within a few kms of the Thailand-Cambodia border around 4 hours from Bangkok and 3 hours from downtown Pattaya. 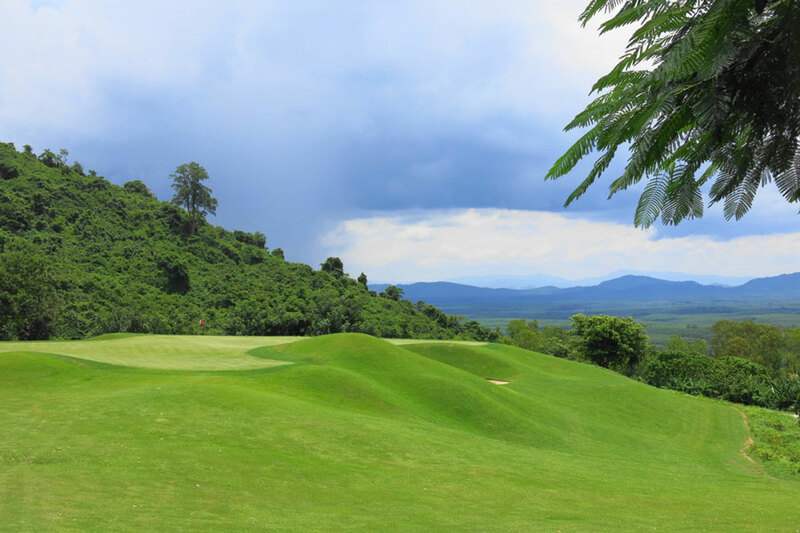 The course itself is one of the most picturesque in Thailand with fantastic scenery and plenty of local wildlife and you will hear the sounds of many local birds and even raucous whooping of the local gibbon population. Our View: Most people who venture here have a very positive experience and this is one resort which seems to understand and caters well to the needs of international visitors. The rooms are comfortable, the food excellent and the service friendly and attentive – what more do you want? You need to take great care when choosing where to stay in Hua Hin as the hotels are spread over nearly 60 kms of beach which stretches from Cha Am in the north to Hua Hin and Pranburi further south. All hotels claim to be in Hua Hin when in reality they are 20 minutes or more from the central Hua Hin area. There are some very good on-course options here which we have featured below. 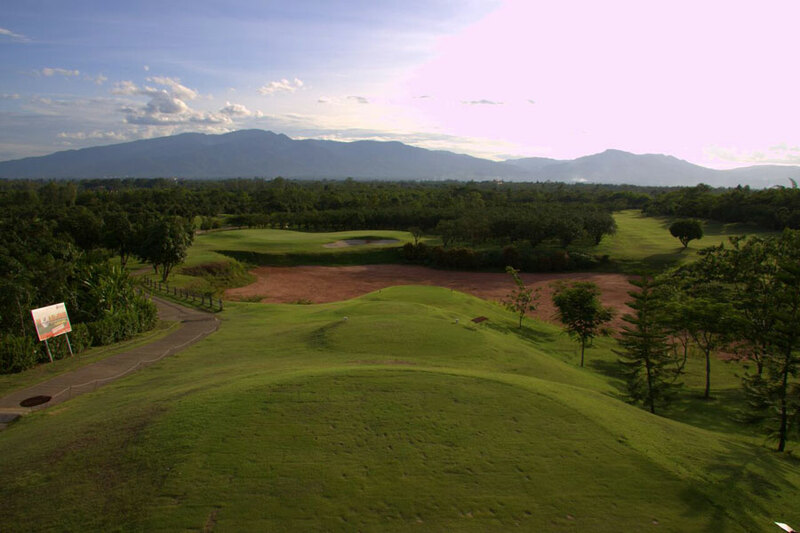 Everyone knows that Black Mountain Golf Club is one of the best golf courses in Thailand so we do not need to go into too much detail about the course. What is less well known is that the golf course has a resort attached. 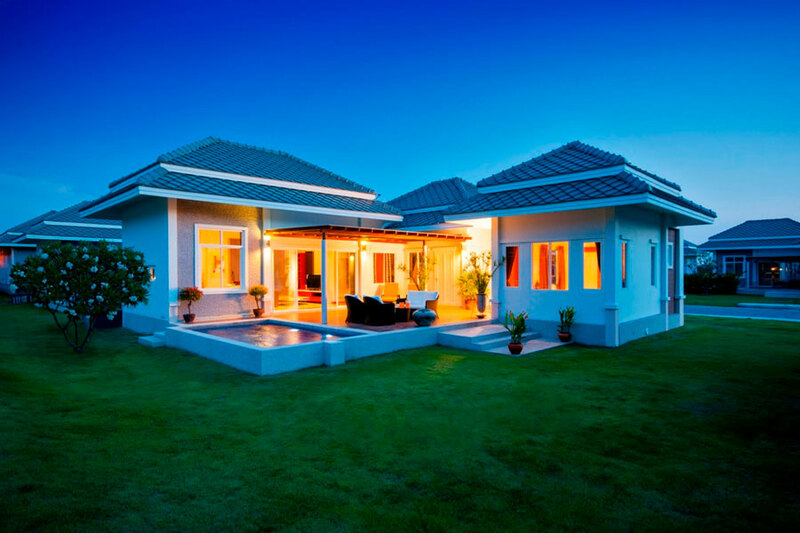 The resort offers a number of 1, 2 and 3 bedroom pool villas in a residential–style setting a short distance from the golf course. The villas are all very modern and contemporary with free Wi-Fi, 24-hour security and daily maid service. 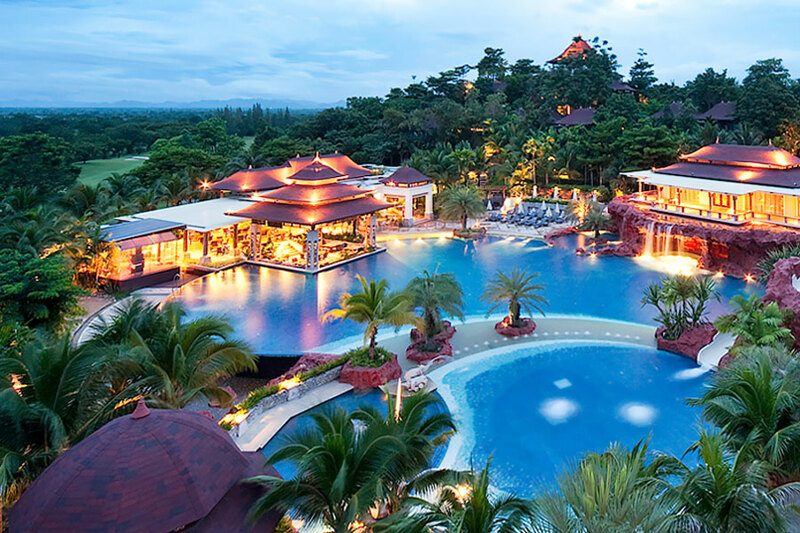 As well as 27-holes of golf there is a nearby water park, outdoor swimming pool, spa and massage service. Our View: Excellent accommodation although the villas have all been built facing the road so there is not too much privacy as you sit by the pool. Plenty of things to do apart from golf with a great spa and massage and the excellent water park. Regular shuttle service to and from Hua Hin town. Excellent resort accommodation but its nowhere near the golf course! Another top class golf course that has won numerous awards and needs little introduction. Banyan, The Resort is nowhere near the golf course but is closer to the centre of Hua Hin and about a 20 minute drive from the course. There are four golf suites on offer actually on the course and they are all luxuriously appointed with satellite TV’s, DVD players etc. One of the suites has a private infinity pool. The Banyan Resort offer one and two bedroom villas spread over the tropical gardens with a large swimming pool running through the complex. A spa, fitness centre but only one restaurant is on offer. They provide a free shuttle to and from the golf course and also into town which is about 15 minutes away. Our View: Generally positive comments from guests who stay here but some of the villas are starting to look tired and with only one restaurant you will probably want to find somewhere else to eat if you are staying longer. They need to add a more regular shuttle service and improve the customer service. 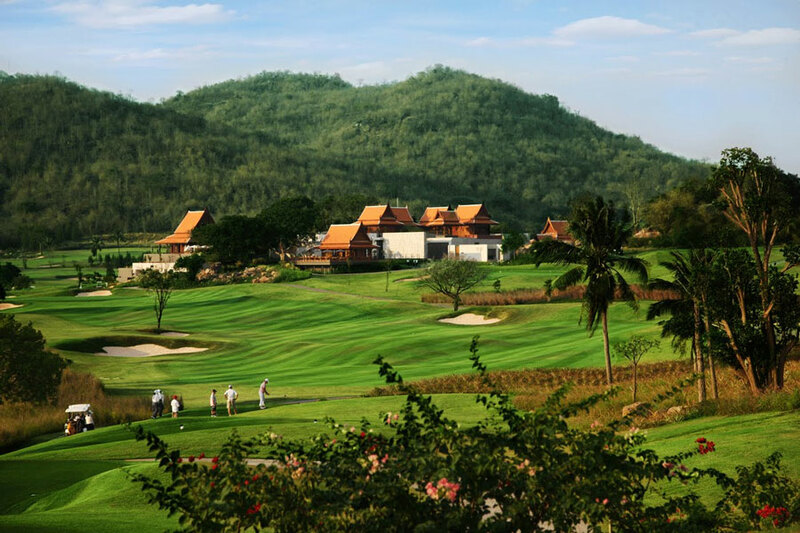 Springfield Golf Club is one of our favourite golf courses in Hua Hin with three very interesting 9 holes which have recently been renovated without making any dramatic changes to the original Jack Nicklaus design. A surprisingly good resort is attached to Springfield Golf Club. It’s quite large with nearly 100 rooms, all nicely decorated, even if a little dated and spotlessly clean. All have balconies with views over the golf course or the swimming pools. There is a very nice Italian restaurant overlooking the pool and another outlet in the nearby clubhouse. They have two swimming pools, a spa and tennis courts. They also offer a free shuttle service to their sister resort on the beach about 12kms away. Our View: The resort itself is excellent if not luxurious and the feedback on the service and food is generally positive. Wi-Fi is a little patchy and only operates well close to the lobby. Big drawback is the location and it’s a good 30 minutes into the centre of Hua Hin so if you are planning to stay here then maybe a good idea to hire a car. 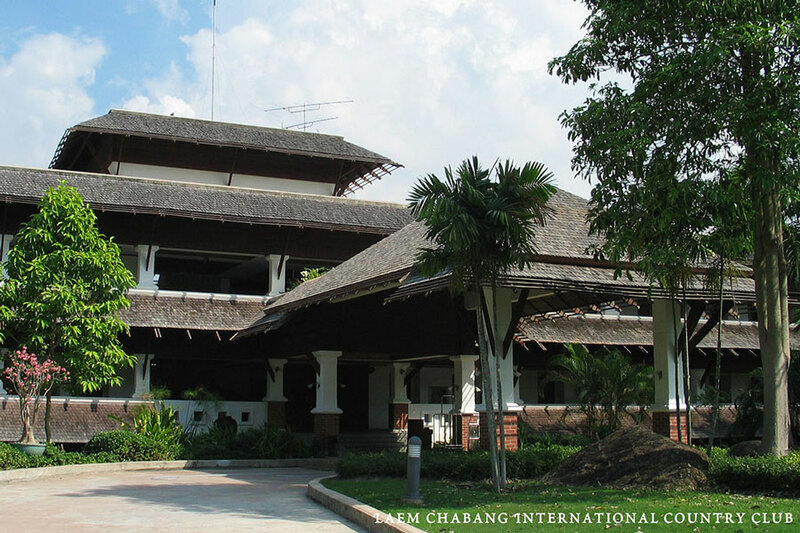 Chiang Mai is another destination where the accommodation options are spread over different areas. The Night Bazaar is generally considered as central Chiang Mai with plenty of activities in this area. The younger and trendy locals tend to opt for the area around Nimmanhaemin Road which is full of coffee shops and fashion outlets. There are a number of riverside properties overlooking the Ping River. If all you want to do is golf then we give you two alternatives. The golf course itself is one of the best in Chiang Mai and certainly one of the more challenging with lush green fairways and fast true greens and some really interesting holes, especially the par 3’s. Although the golf course may well exceed your expectations we cannot say the same about the resort itself. The rooms are quite large but have very little furniture they feel quite Spartan with little or no warmth or real comfort. One positive is that the contents of the mini-bar are free so you can always drown your sorrows. Wi-Fi is slow and unreliable. The restaurants are more reminiscent of school canteens and the food in the hotel poor. The other restaurant in the clubhouse is much better and serves very acceptable Thai and Western food. Our View: It’s a wonderful golf course which you must play but we cannot recommend the resort due to the very poor service, food and unwelcoming atmosphere. Another wonderful golf course which has been made even better with the addition of another 9 holes. It’s a great design and it has been manicured to perfection and depending on which tee box you choose it can be fun for golfers of all standards. The Resort is located nearby within walking distance of the clubhouse and offers three types of villa, all with a seating area, satellite TV and minibar. Other facilities include a large fitness room, spa and swimming pool. Our View: The location is very remote and after 7pm, when the clubhouse staff have departed, the place is deserted and there is nothing to do except watch TV. If you want to play two rounds here then an overnight stay might be worthwhile to avoid he longish trek back into town. 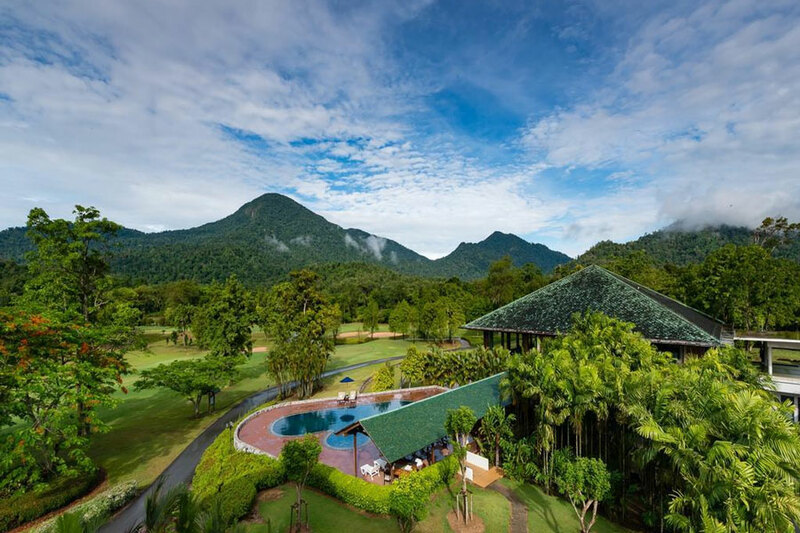 Nearly all of the golf courses in and around Khao Yai offer on-site accommodation but we have picked the best to feature here. 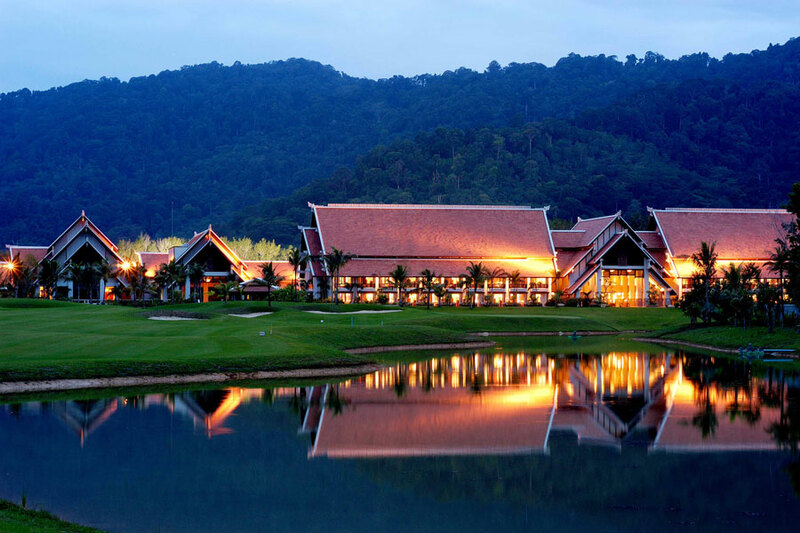 This is a beautiful resort about 2 hours north of Bangkok located in a very natural environment very close to Khao Yai National Park. This is actually three resorts in one and they have recently added four new buildings overlooking the lake called Atta which have great views of the mountains – the accommodation here consists of one and two bedroom suites. 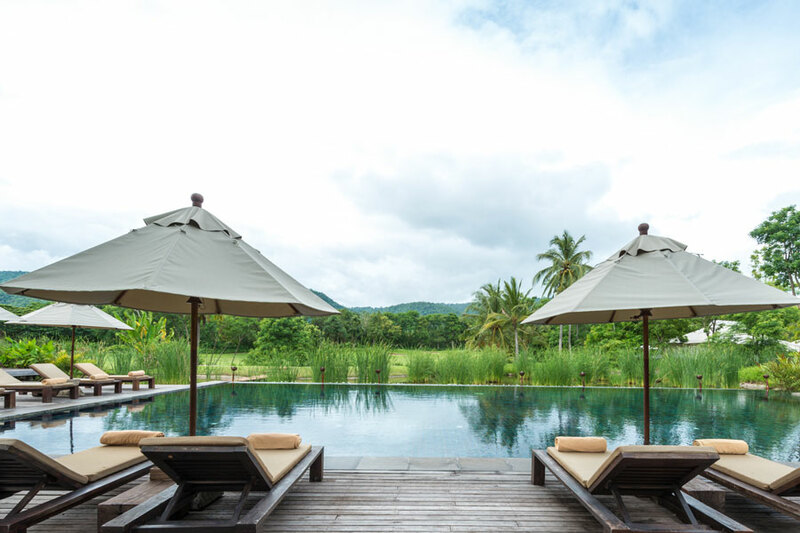 If you really want to splash out you can try the Muthi Maya pool villas which make you feel as if you are in the middle of the national park. 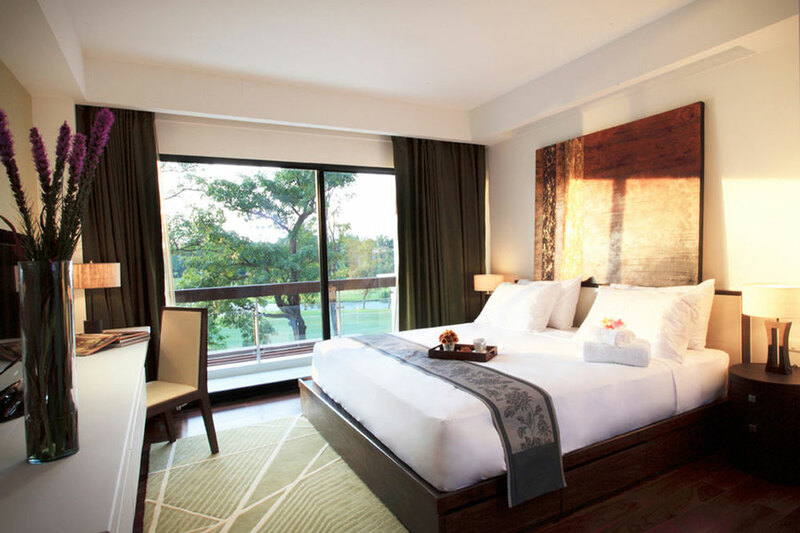 All of the rooms and suites are designed and finished to high standard in contemporary Thai style. Plenty of resort activities including a spa and of course the golf course which was designed by none other than Jack Nicklaus himself. It's one of best golf courses in the area and winds its way through the local forest and waterways. With only one 18-hole golf course on offer it hardly qualifies as a golf resort but what it lacks in quantity it makes up with a superb resort and an equally beautiful golf course. 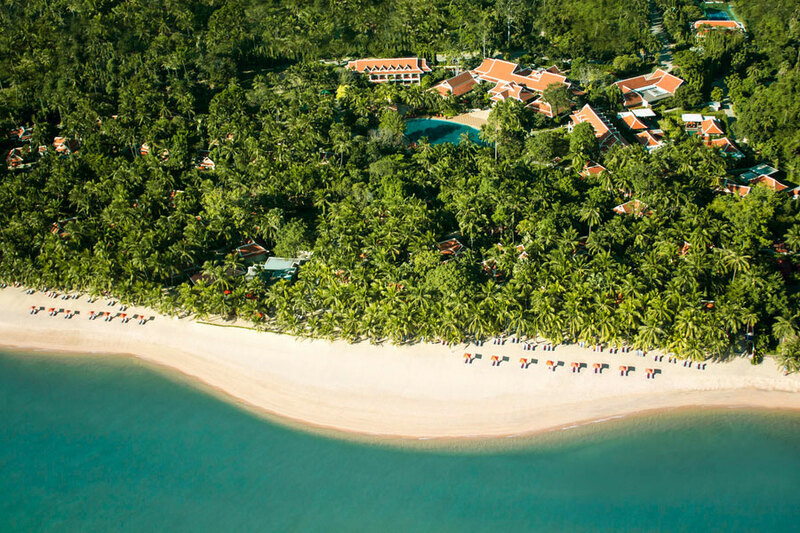 Santiburi Beach Resort and Spa overlooks the beautiful white sand beach of Mae Nam, one of the most sought after locations in Samui. 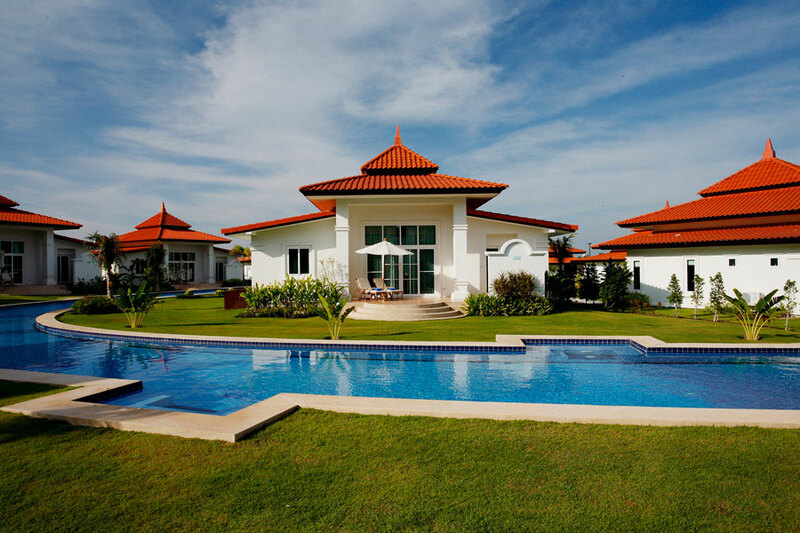 The individual villas are spread out amongst the large and beautifully landscaped grounds. They recently opened a luxury spa which includes 6 spa villas. Plenty of water sports on offer and the resort is only a few minutes away from Santiburi Samui Country Club which is a stunning 18-hole layout set in the hills behind the resort. Our View: This is a superb hotel offering service of the highest standards with amazing attention to detail. Great restaurant and one of the best spa experiences in Thailand. The golf course is very close so this is an ideal spot for a golf and beach holiday.